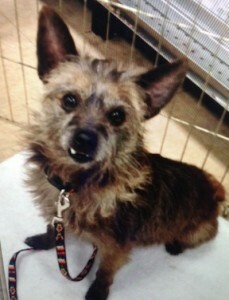 About two months ago, There is Hope rescued 11 dogs that were on death row from the Carson Animal Shelter. These dogs were taken away from a hoarder that had 30+ dogs in her custody and were turned into the pound. As if their lives weren’t bad enough, throwing them into an overcrowded high-kill shelter only made things worse. At the shelter, they had to fight for attention with hopes that someone would take pity and adopt them. Unfortunately though, due to overcrowding, soon after arriving at the shelter they were sentenced to death by euthanization. They were merely days, some even hours, away from being euthanized when we were informed about their situation. We got there just in time and got every last one of them out. We were lucky to have gotten there in time to save their lives, but getting them out of the shelter was only half the battle. These poor dogs were frightened, needed medical attention, had lost trust in humans and were too afraid to even get close to us. Who could blame them? In only a short period of time they hadgone through so much trauma and stress. Fortunately though they were not a lost cause and through patience and kindness we were able to help rebuild their trust in humans and nurse them back to health. They soon turned into sweet, loving and loyal dogs. They went from being frightened and skittish to being perfect lap dogs! Several of these lucky dogs have already gotten adopted, but several more are still waiting to meet a loving family that will give them their forever home. If you are interested in giving one of these rescued dogs a blissful life, please check them out in our dog adoption section. 23,457 Comments on "Dogs on Death Row Get a Second Chance at Life"
I precisely needed to appreciate you yet again. I do not know the things that I could possibly have taken care of in the absence of the concepts revealed by you concerning that situation. It previously was a terrifying matter in my opinion, however , being able to see this well-written tactic you treated it forced me to weep for joy. I will be thankful for your guidance and even wish you recognize what a powerful job you are doing training some other people through your blog post. I am sure you’ve never got to know all of us.